Release party is from 8-10pm on September 1st, at the Member Company Forum on SCS. 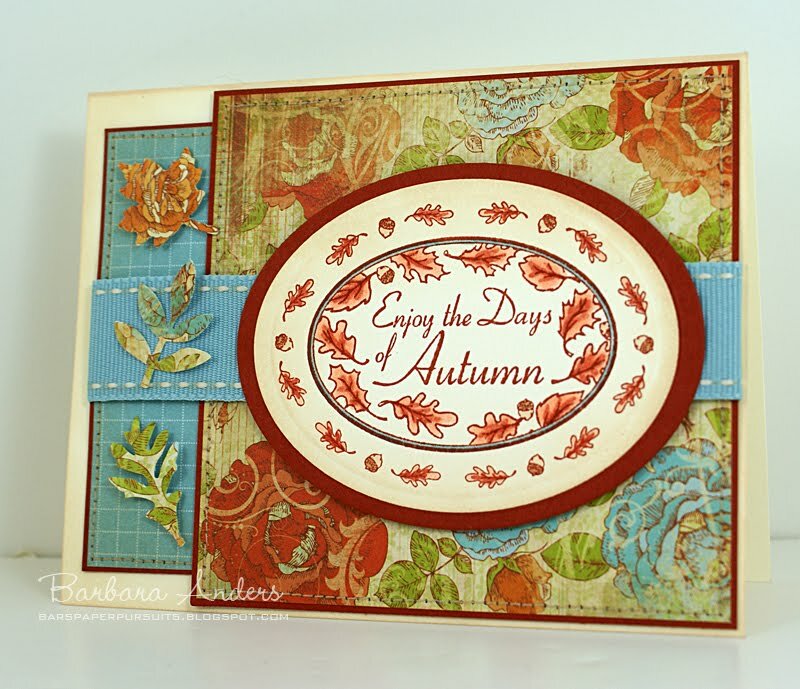 The October Guest Designer contest continues and ends tomorrow, August 31st at 10 PM EST. The winner will be announced at the release party. Get the deets here. Teasers continue today. 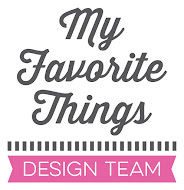 Be sure to check Kim's blog at 11:00am for links to designers previewing today. Every day there will be a prize hidden on two of the Creative Team's blog posts. Leaving a comment on every designer's blog post will give you the best chance of winning every day. 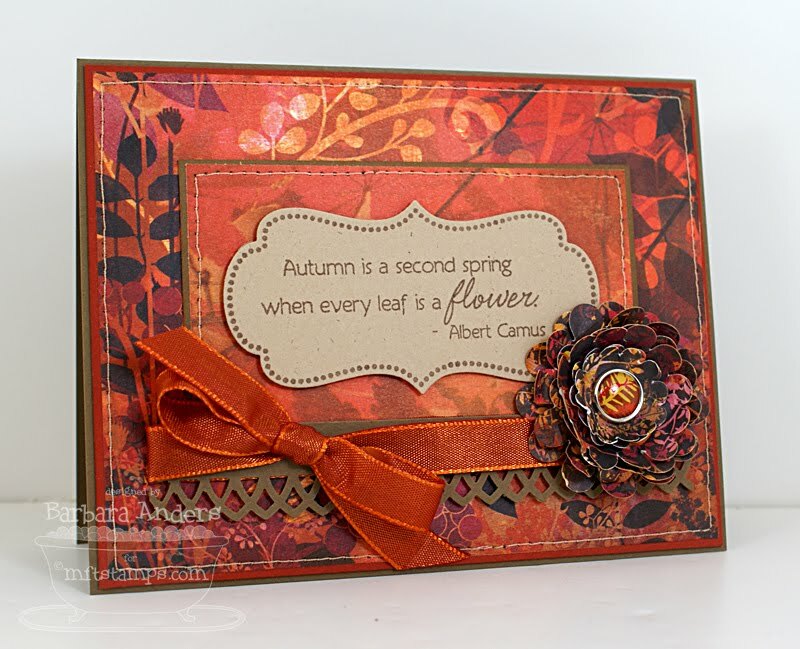 The September Hop and Shop will begin at 10:00pm September 1st, with the hop starting at Kim's Blog. 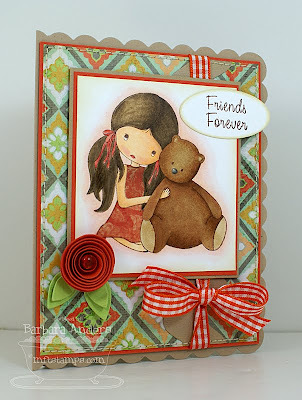 Today we're previewing Jolinne – Friends Forever, Flapper Doodle – All Dolled Up, and Flapper Doodle – Get a Wiggle On. I'm showing you Jolinne - Friends Forever. Isn't this just the sweetest!?? I stamped Jolinne and her friend on a Perfect Paper Panel with Memento Rich Cocoa ink and colored her with Copic markers and paper pieced her dress. 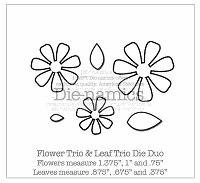 My layout is pretty simple--just added some ribbon and one of the fantastic flowers you can make with the Rolled Flower Die-namics die and some sweet little leaves using the Flower Garden Die-namics die. You can't really see it on the front, but I also added a vertical element using the Jumbo Ric Rak die (it's under the ribbon! 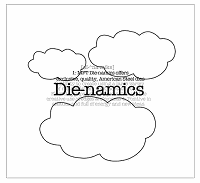 ), and again on the inside of the card. Awwww, ain't that sweet?! Love the sentiments in this set! Thanks so much for stopping by! Hope to see you back tomorrow for the final teaser. Here's a hint--it's one of my faves! 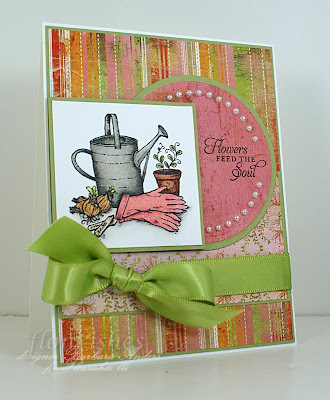 It's time for Flourishes Timeless Tuesday Challenge (FTTC82)! It is the end of the month so we have a challenge host! Traci Major is our challenge host! Traci is challenging us to Summer Memories! 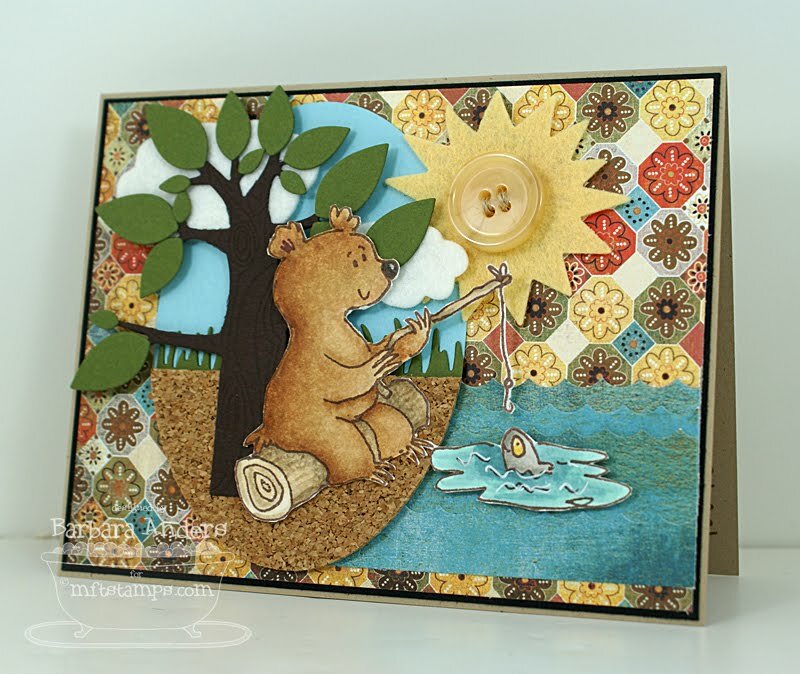 With summer quickly drawing to a close, Traci wants us to reflect on one of our summer activities and create a card capturing one of our favorite memories of Summer 2010! We would love to see what you create! Gardening is a big part of every summer for me so I thought I'd bring out my From the Garden set. This little scene is very familiar to me, LOL. I stamped the image on Classic White card stock with Memento Tuxedo Black ink and colored it with Copic markers. 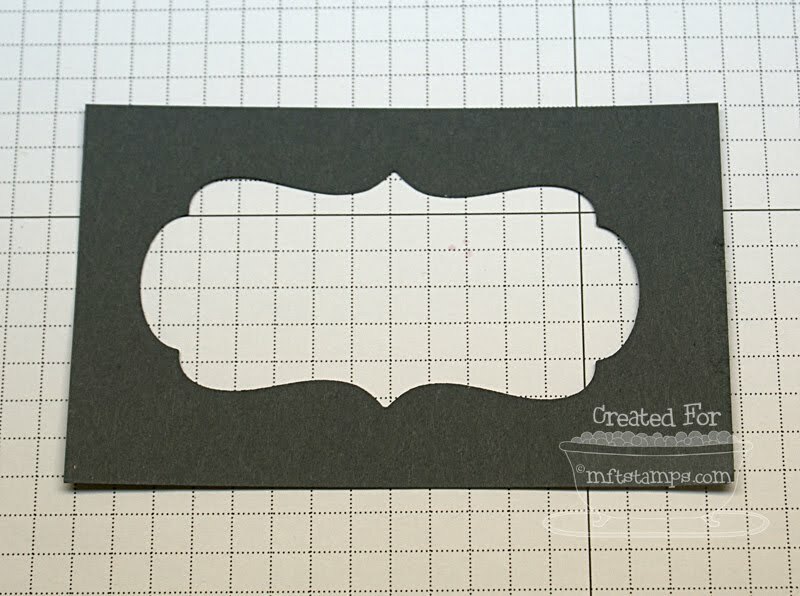 I'm using paper from Basic Grey's Green At Heart 6 x 6 pad and Pear Pizazz card stock--which is fast becoming a favorite green for me. 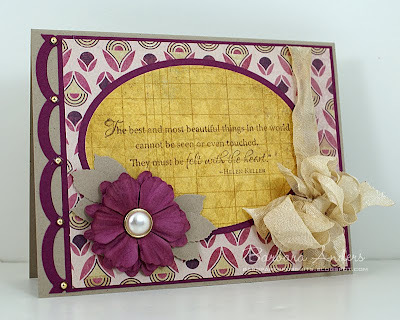 The circle element was cut with a Classic Circle Nestabilities die, then I stamped the sentiment from the set and added some flat backed pearls. Be sure to go see what summer memories my team mates have today! I hope you'll play along with us! 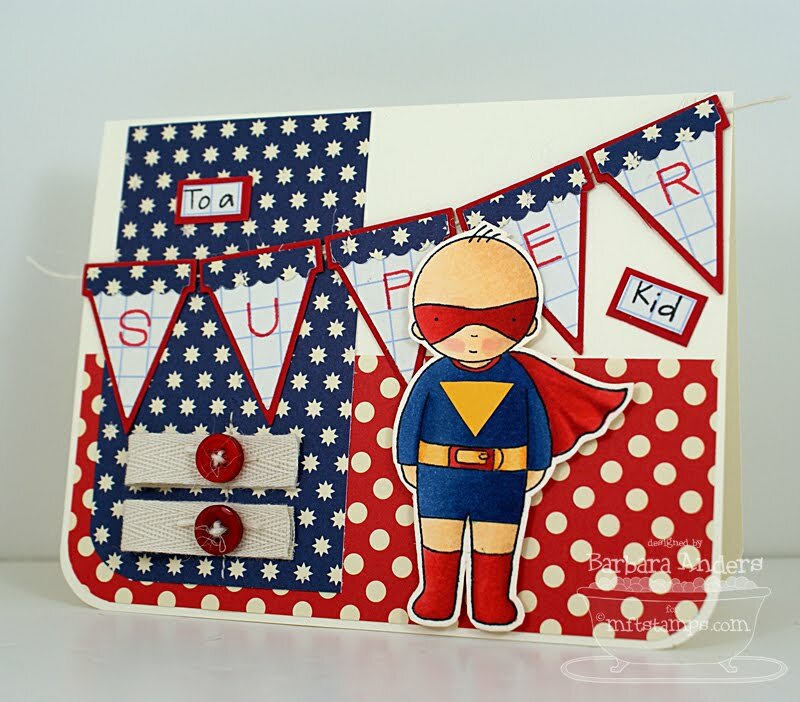 And be sure to visit our Guest Designer, Traci Major, and leave her some love! The October Guest Designer contest continues and the winner will be announced at the release party. Get the deets here. Today we're previewing three new PIs: PI - Super Boy, PI - Honey Bee, and PI - Princess. I'm showing you PI - Super Boy. Heehee, isn't he adorable? Perfect for a little boy's birthday! I stamped the image on a Perfect Paper Panel (temporarily out of stock) with Memento Tuxedo Black ink, colored it with Copic markers, and cut it out. 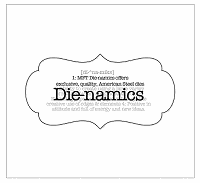 Then I added some patterned paper and made the banner with the Banner Day Die-namics dies and alphabet. Today we're previewing Fred Bear Goes Fishing, Emma Playing Mommy, and Wyatt the Conductor. I'm showing you Fred. I fell in love with this Fred the moment I saw him! I decided to build a little scene around Fred and his fish. I stamped Fred on a Perfect Paper Panel (temporarily out of stock) with Memento Rich Cocoa ink and colored him with Copic markers, then cut him out. 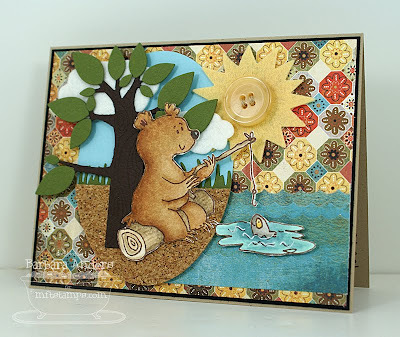 To create the base for the scene, I cut a large oval with a Nestabilities die and Berrylicious card stock, then added a "river bank" with MFT cork (also temporarily out of stock). Then I added the grass, sun, clouds, and the tree and put Fred in place. I used the negative cut from the Small Scalloped Border Die-namics die to make the simulated water. 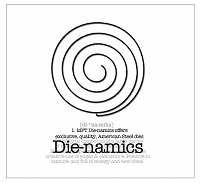 I didn't set out to use all these Die-namics dies but once I got going I couldn't stop, LOL! The October Guest Designer contest begins today and the winner will be announced at the release party. Get the deets here. Teasers begin today. 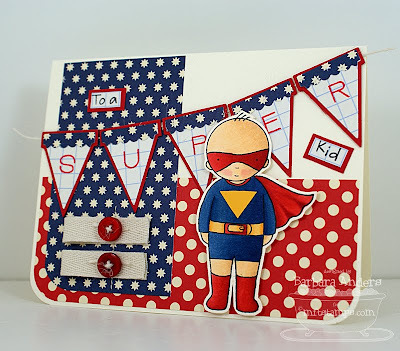 Be sure to check Kim's blog at 11:00am for links to designers previewing today. Every day there will be a prize hidden on one of the Creative Team's blog posts. Leaving a comment on every designer's blog post will give you the best chance of winning every day. Today we're previewing Clearly Sentimental About Harvest (previous Triple Scoop set), Tiny Town Halloween by Stephanie Fizer, and a new alphabet, Wendy Uppercase Alphabet. Wendy is the MFT signature font. I'm showing you Clearly Sentimental About Harvest today. Since I love fall, the sentiment I chose to use is one of my all-time favorite quotes. 1. 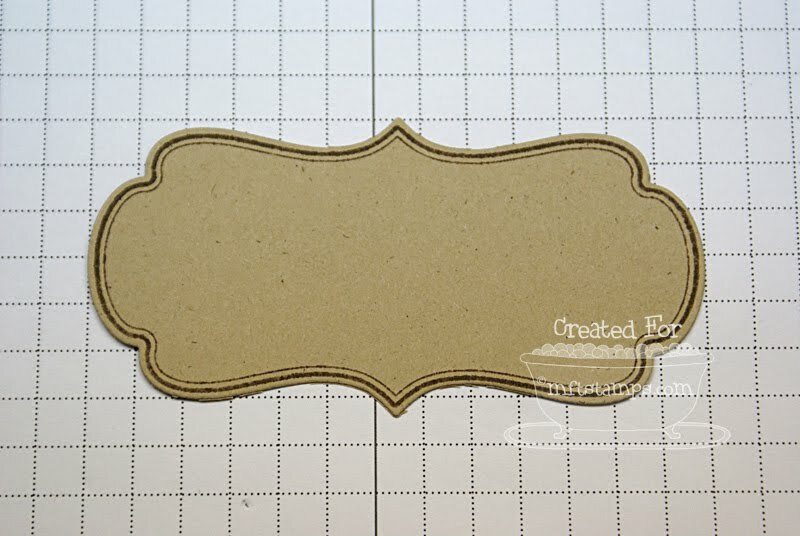 Using some scrap card stock, die cut the Framed Greetings die--this will be a template. 2. Stamp the outline of choice on the paper you'll use on your project. 3. 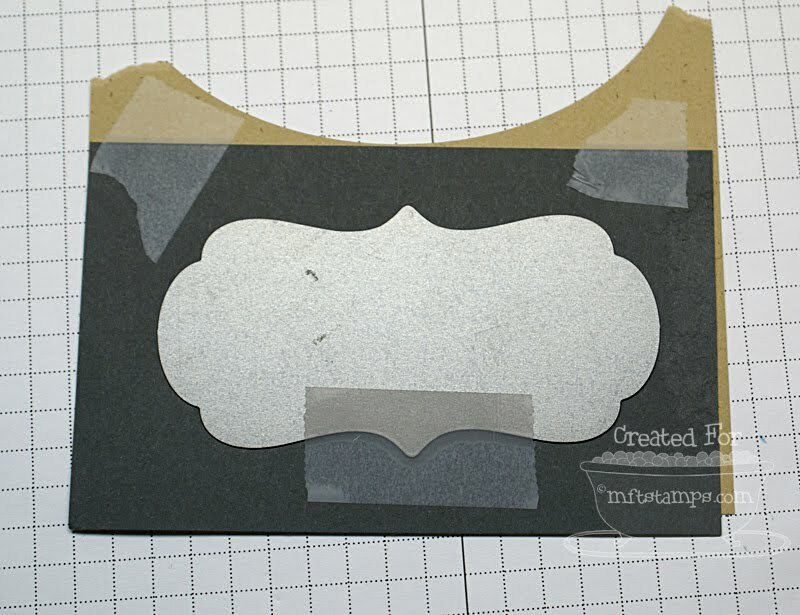 Position your template over your stamped image and be sure to line it up carefully. Tape it down securely. 4. Slip the die into the template opening and also tape this down securely. Make sure the die is in the opening straight and snugly. 5. 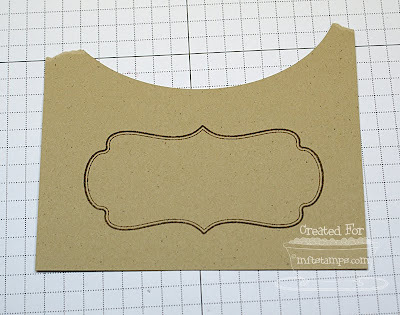 Cut, using your die cutting machine. And see that pretty flower? 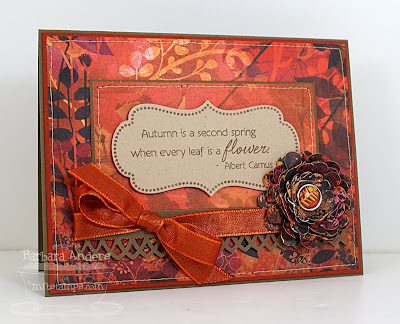 I used the NEW Perfect Petal Trio Die-namics set to make it. I cut two of each size, crumpled them up as tight as I could, then opened them and hooked them together with a brad to match the patterned paper. Finally, I swiped them with some Tea Dye Distress ink. 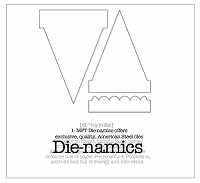 This die set will be released on September 1st. 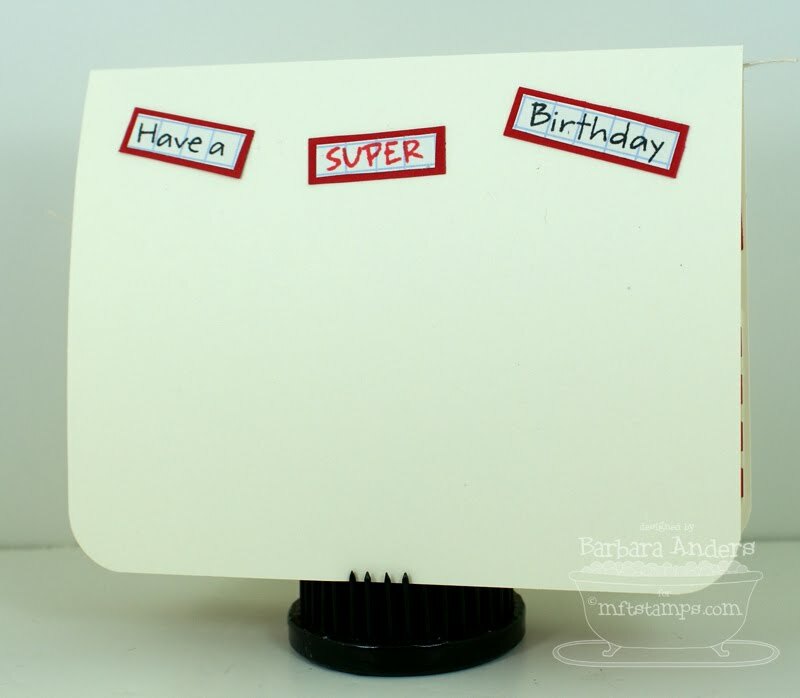 Today is also Crazy 4 Challenges day--be sure to check out the blog for all the details about today's challenge. August 27 - ssnotime154 - A Color Challenge - Today's colors are rich and so pretty together as we transition from summer into autumn. And autumn comes earlier to some of us than others. Our colors are Turquoise and Orange, with White OR Ivory as your netural and as always, adding Black for a little POP is totally OK, but not required. She has a photo of an inspiration piece on her blog so check it out here. 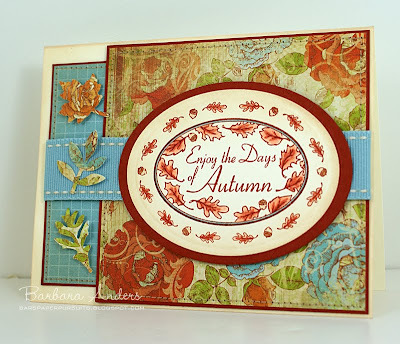 This JustRite image, from the Autumn Blessings Border & Center Set, is my sentiment exactly! I might have mentioned this before, but I love fall--the leaf colors, the crisp dry air, often with the scent of burning leaves, just makes me happy :) I'm SO ready to "enjoy the days of Autumn". I might have stretched the colors a bit ;-) I'm not using turquoise exactly--I'm using Baja Breeze which *is* in the turquoise color family, right? So I hope it counts. This patterned paper, from Kaiser Kraft's Peachy Keen 6 x 6 pad that I got from Sharon's store, was a pretty good place to start, I thought. 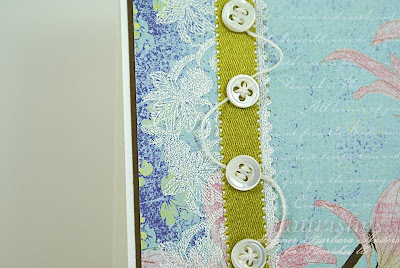 I added some Baja Breeze DSP, some Baja Breeze double stitched ribbon and SU's new Cajun Craze card stock. I was really disappointed when Really Rust was retired, but I'm liking the new one *a lot* and I'm thinking it will make a good substitute, although I did stockpile a bit of Really Rust while I could ;-) I added a little color to the leaves on the image with Copic markers and I'm using CPS #181 for my layout. So, now it's your turn. 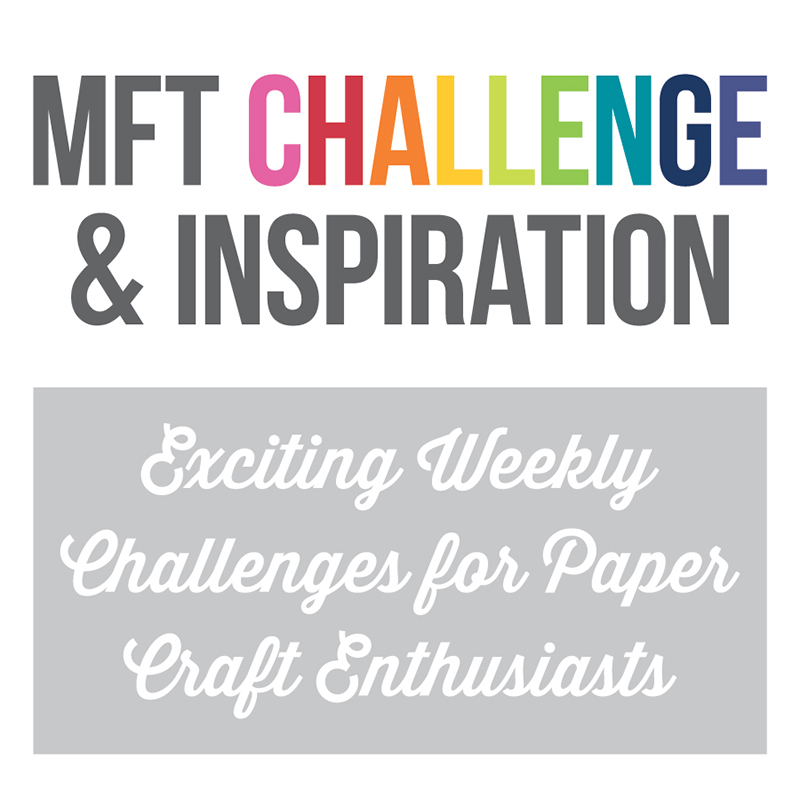 Come along and play and take us up on the challenge--we'd love to see what you come up with. If you do, be sure to leave the link to your project on Sharon's blog using Mr. Linky. Please use the keyword ssnotime154 if you upload to a public forum. 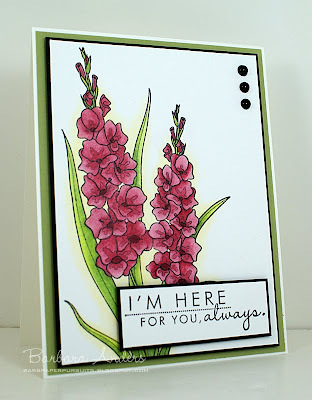 Don't forget to check out Sharon's fabulous sample and also the great designs from the Stamp Simply team and leave 'em some love! It's that time of the week! Color Throwdown time!!! 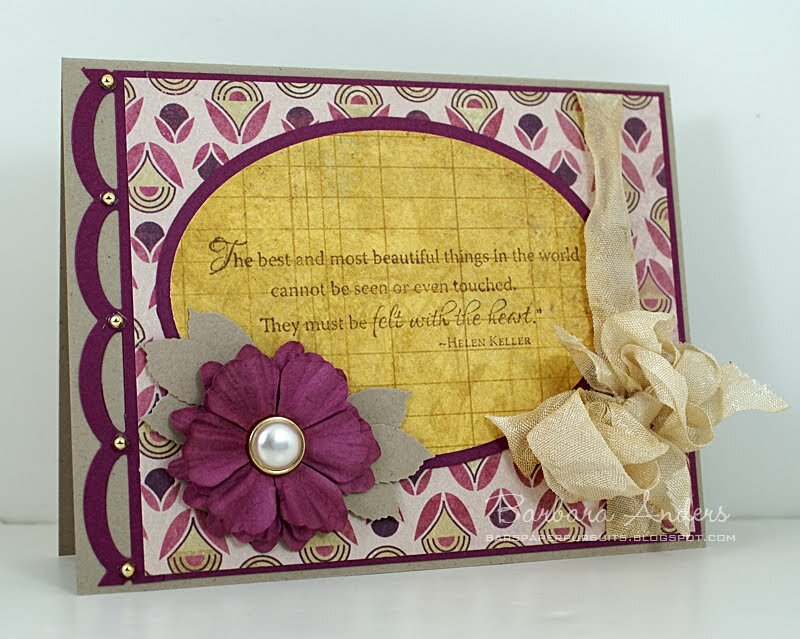 This week Kristin has chosen some gorgeous colors! I LOVE Rose Red and I've never met a green I didn't like. 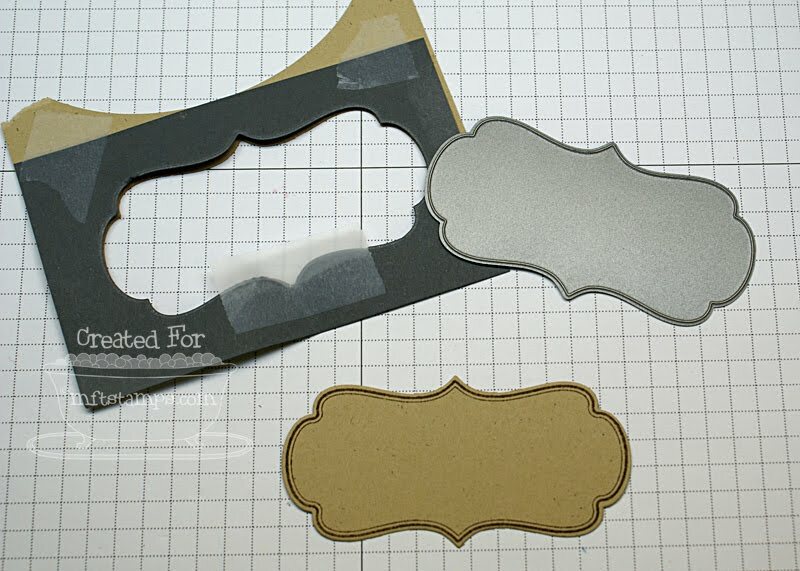 AND I happen to have just gotten some Pear Pizazz paper, so I'm a happy camper! 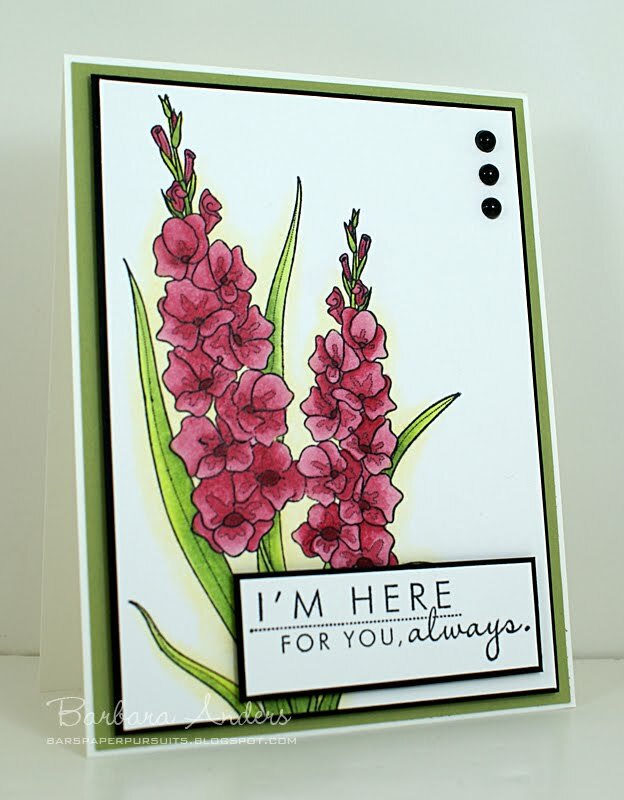 I chose to use my brand new Year of Flowers: Gladiolus set from PTI for my card today. This image is pretty large and is VERY striking, so I kept my design simple to give it center stage. I stamped the image on a Perfect Paper Panel (temporarily out of stock) from MFT with Memento Tuxedo Black ink and colored it with Copic markers. Then I added some shading with a yellow Prismacolor pencil. I matted it with Basic Black and popped it up on the Pear Pizazz layer with foam tape, then added the sentiment and some black flat-backed pearls. Remember, you do not have to have the exact colors to play. If you don't, just use the closest you have. 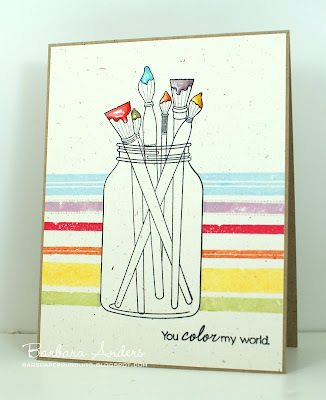 So, c'mon over to the Color Throwdown blog and play along with us this week. Please use the link service to post your card and please link directly to your card so we can find it easily. And please include a link in your post to the Color Throwdown. If you upload your card to a public forum, please use the keyword CTD107 so we can see your beauty all in one place. Hope to see you there! Be sure to check out what the other team members have come up with this week! You've either happened upon Taylored Expressions' Blast From the Past Blog Hop or you're here from another site on the hop. Whichever, WELCOME, I'm so glad you stopped by! It's time for Flourishes Timeless Tuesday Challenge (FTTC81)! This week Maki Jones is our challenge host. 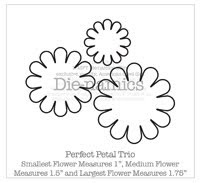 Maki is challenging us to use lace. 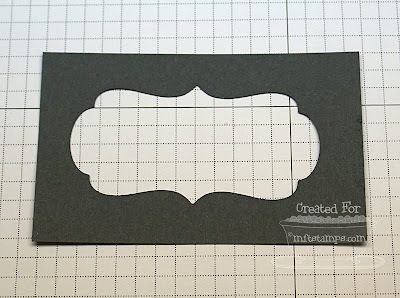 Whether you have real lace, lace punches, lace paper, or any other type of lacy item, add a bit of elegance to your cards this week with some lace. We would love to see what you create! OK, that's an easy one, right? I decided to use some faux lace on my card today, using Flourishes gorgeous Lace Edges set. I pulled out this paper from Memory Box and stamped the image in Versamark, then heat embossed with white detail embossing powder. 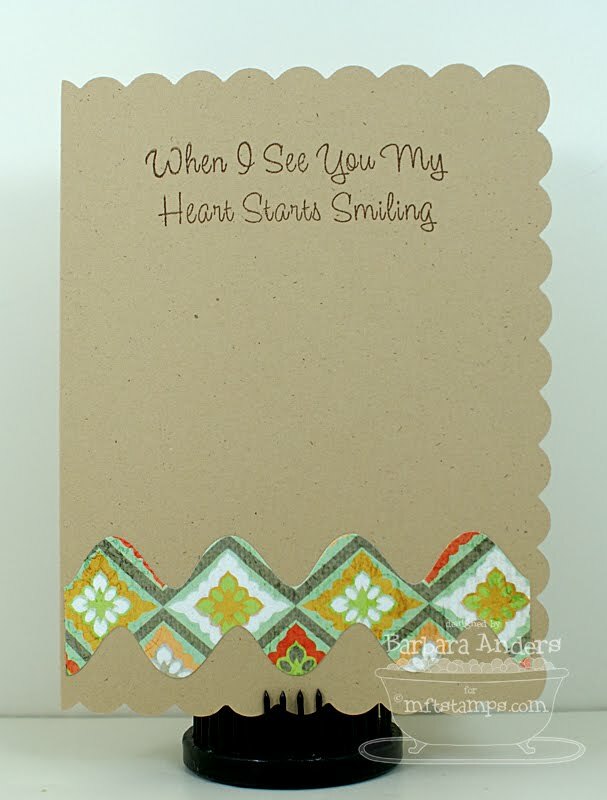 Then I stamped this sentiment, from Life Lines in Memento Rich Cocoa ink--I thought that was a fitting sentiment to go along with the faux lace, LOL! Finally, I added some flat backed pearls, a strip of ribbon and some tiny mother-of-pearl buttons that I've had forever. 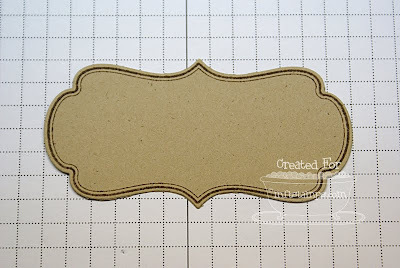 Very simple design, to show off that gorgeous embossed lace. Be sure to go see how my team mates used lace today! I hope you'll play along with us! Our challenge this week is also our prize challenge being it is the 3rd Saturday of the month. 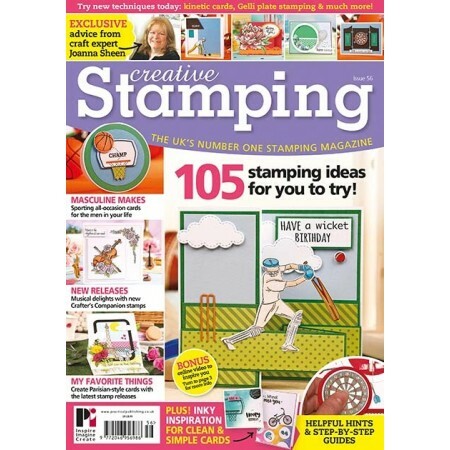 This month our prize is sponsored by Alota Rubber Stamps. Again, get all the details at the C4C blog. 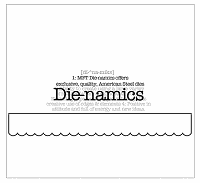 And here's my card. I went *really* CAS with this card and I love it. No buttons, no ribbon--what's up with that!? 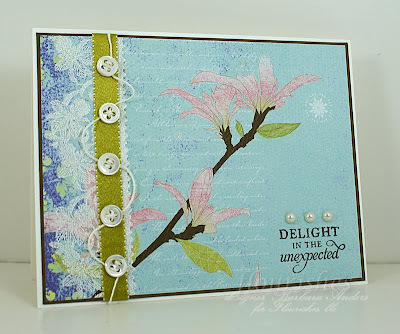 I have to say I was totally inspired by this card Kim Hughes did when this set was released--I thought it was so creative and striking. 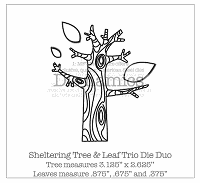 I've tried to make the design my own, using the sketch. 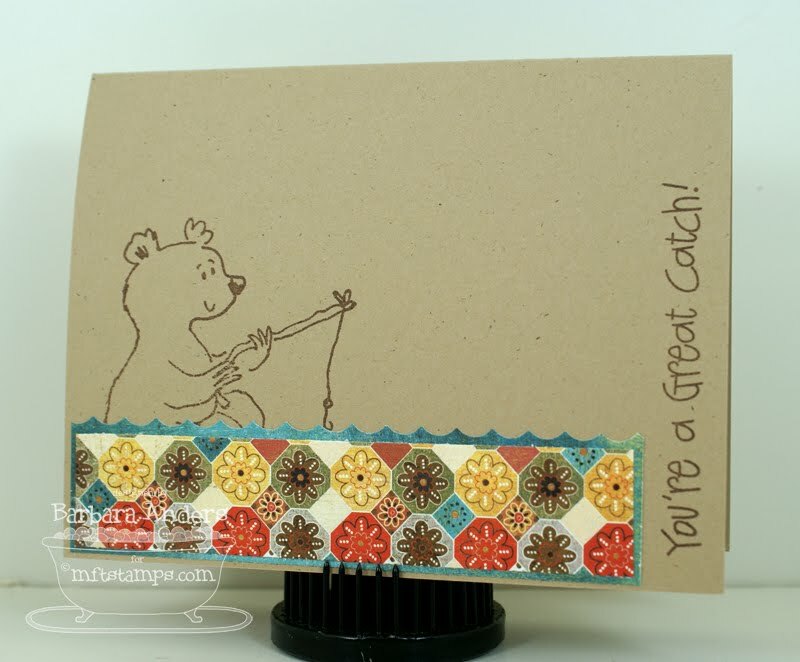 It may not look *a lot* like the sketch, but I can assure you that the sketch inspired this card. 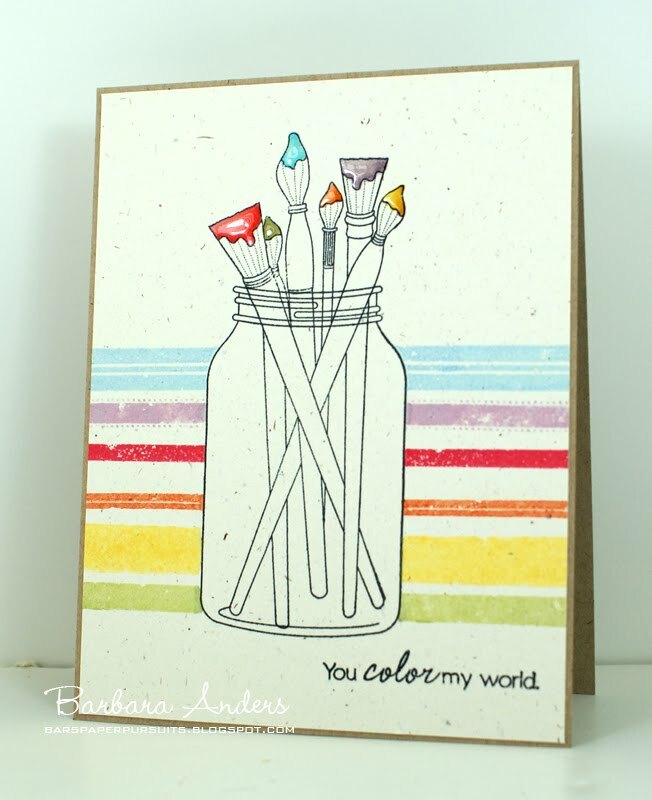 I stamped the jar from PTI's Friendship Jar and brush images from Friendship Jar Fillers on Rustic White card stock with Memento Tuxedo Black ink and colored just the paint on the brushes with Copic markers. Then, I covered the colored areas with Crystal Effects and let that dry. 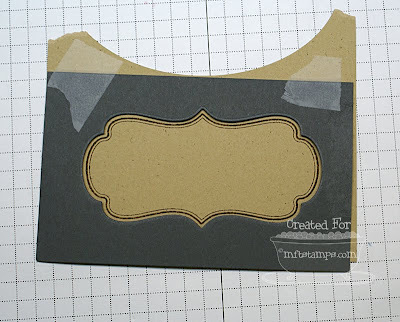 Next I created a mask for the jar and stamped the stripes, using the Distressed Stripes set, to match my brush tips. Then I stamped the sentiment, from MFT's Clearly Sentimental About You. Finally I added a Kraft base card and it was done. THEN, you know what to do--we'd love to have you come along and play with us. Just do your thing with the challenge and link it to Mr. Linky on the Crazy 4 Challenges blog. Please link directly to your project. 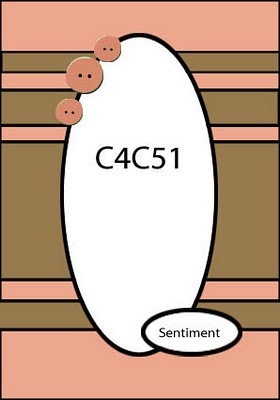 And, if you upload to a public gallery, please use the key word C4C51. 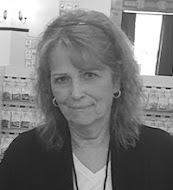 My Favorite Things September VIP Hop!